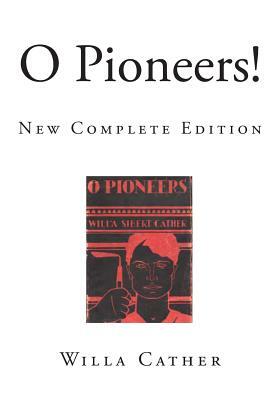 O Pioneers is a 1913 novel by American author Willa Cather, written while she was living in New York. It is the first novel of her Great Plains trilogy, followed by The Song of the Lark (1915) and My Antonia (1918). O Pioneers tells the story of the Bergsons, a family of Swedish immigrants in the farm country near the fictional town of Hanover, Nebraska, at the turn of the 20th century. The main character, Alexandra Bergson, inherits the family farmland when her father dies and devotes her life to making the farm a viable enterprise at a time when many other immigrant families are giving up and leaving the prairie. The novel is also concerned with two romantic relationships, one between Alexandra and family friend Carl Linstrum and the other between Alexandra's brother Emil and the married Marie Shabata.